A real-time clock (RTC) is a computer clock (most often in the form of an integrated circuit) that keeps track of the current time.The term is used to avoid confusion with ordinary hardware clocks which are only signals that govern digital electronics, and do not count time in human units. 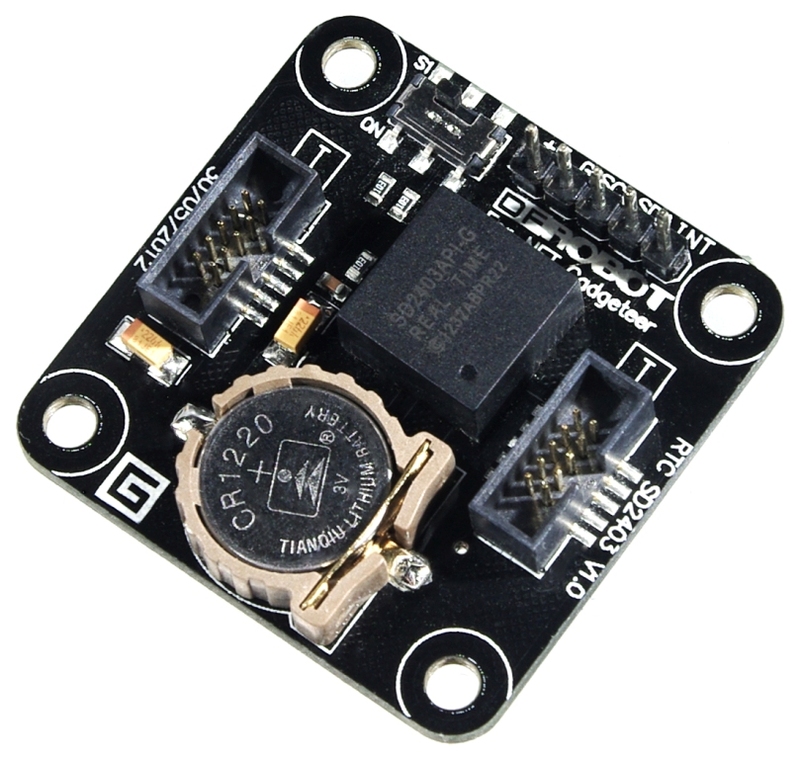 Compared with the cheap RTC module in the market now, this SD2403 Real-time clock module is low power consumption and high accurate solution. The typical power consumption is about 1.0uA. It intgerated the crystal and it ensure the accuracy of clock is about 5ppm.That means even if keep running one year, the deviation of this RTC module should be less than 2.5 minutes without the calibration. It supplies the time data via I2C interface and the time format is configurable to be switched between 12 hours and 24 hours. However, another good feature is the time alarm function via interrupt event output. So this RTC solution should be worth to try. 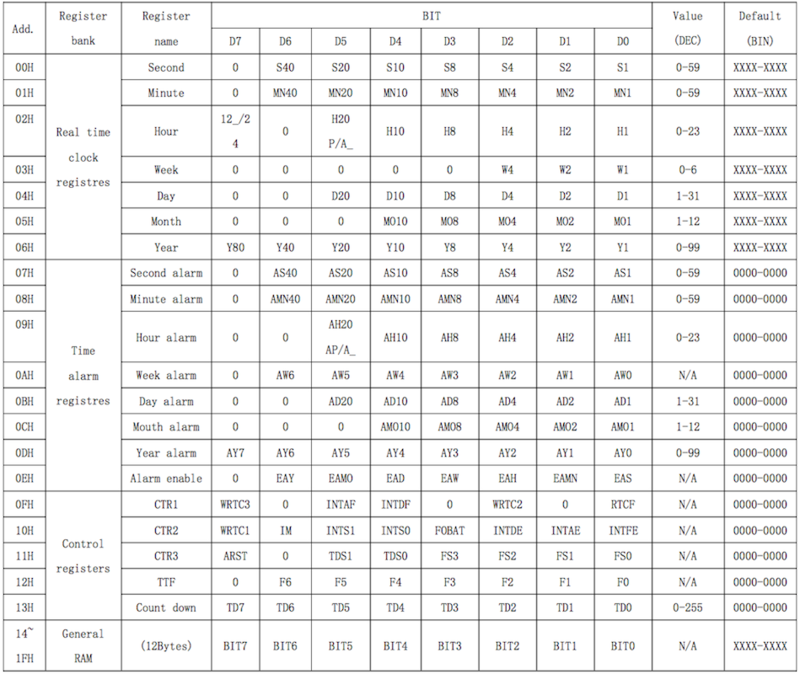 These RTC (Real time clock) registers are stored as binary-coded decimal BCD format. Day of the Week: from 0 to 6. 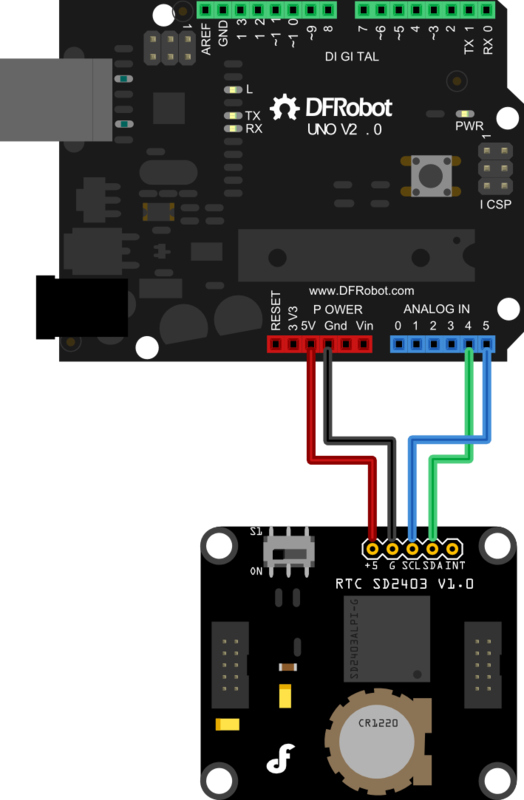 Get **SD2403 Real time clock Modul SKU:TOY0020 ** from DFRobot Store or DFRobot Distributor.